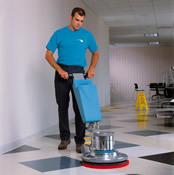 ServiceMaster Clean® has been specializing in clean for more than 50 years. Our highly trained professionals offer dedicated service to healthcare facility managers that goes above and beyond standard care. With constant accessibility and clear communication, we do the job right the first time, and every time. Created in compliance with CDC, JCAHO and HIPAA standards, the ServiceMaster Clean® healthcare training series ensures that our staff is able to properly provide specialized cleaning services customized for your facility. Our expertise combined with a dedication to continuous improvement has led to the development of superior methods and materials, including our proprietary Capture and Removal Cleaning� system. Capture and Removal Cleaning combines advanced equipment and microfiber technologies to dramatically decrease airborne dust, VOCs and bacteria, resulting in a healthier setting for staff and patients that�s also better for the environment. To learn more about environmental cleaning services or to request service, call ServiceMaster® Capital Area today at 517.327.5650.